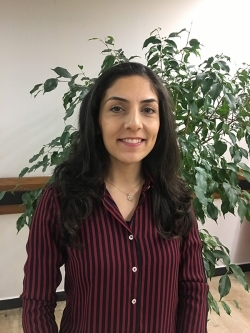 Neşe Kaynak, R&D engineer at Brisa Bridgestone and PhD student at Yalova University, introduces her research into an innovative filler system that combines traditional carbon black with an alumina silicate inorganic filler. Tell us about your research on a binary filler system based on carbon black and an alumina silicate inorganic filler. This research aims to investigate the effects on the mechanical properties of tire rubber compounds when using a new binary filler system with an alumina silicate inorganic filler and carbon black one. Rubber-filler interaction is important for the advanced properties of tires, since the compound mixture used in the tire is a complex structure composed of nested networks. The interaction between the filler and the rubber matrix influences the deformation of the material under load. In this research, a new inorganic filler for tire rubber compounds and a binary system combining the new filler with carbon black were studied for use in SBR rubber compounds for tire applications. In addition, we accomplished a surface modification reaction of the inorganic filler with the help of a sulphur-containing silane coupling agent. This surface modification aims to improve rubber-filler interphase properties. We also investigated whether replacing carbon black entirely with the inorganic filler would be a viable solution to decrease compound cost. What are the performance benefits for tires with this system? Modern fillers are not only cheaper but also have significant physical and physicochemical benefits when used in rubber compounds. With the development of filler technology, it is expected that the inert filler, which was traditionally used only for cost reduction, can be developed to also have desirable mechanical properties. To achieve this, the surfaces of the fillers must be modified or processed to make the interface between the polymer and the filler in the composite stronger. Good distribution of the filler in the rubber is critical for the physical properties of the resulting composite. During our research, we observed that using this new filler not only results in material cost advantages, but also leads to better wear performance compared with carbon black. Using the surface modification method with the silane coupling agent further improves filler-rubber interaction, as well as filler dispersibility. This gives the rubber compound improved mechanical properties and a lower rolling resistance. Unfortunately – as we expected from the tire magic triangle – improving the rolling resistance and wear performance ultimately compromised wet grip. Even with this alumina silicate inorganic filler, balancing all three performance categories is very hard. What are the key challenges and how have you overcome them? Filler agglomeration in rubber is critical for effective tire performance. We are therefore looking into a way to change the mechanical properties of the rubber compounds so that it becomes possible to enhance the homogeneous dispersion of fillers in the rubber compound. The new inorganic filler shows the tendency to agglomerate in rubber compounds after being surface modified with a silane coupling agent. We were able to achieve homogeneous dispersion by adjusting the mixing parameters. One of the most important parameters for the modification of the inorganic filler is the pH, since the acidity affects the amount of functionalisation and also plays a role in the quality of the interphase between filler and rubber. We defined the ideal pH for the surface modification reaction and kept it at the desired value to get better modification and eliminate silanol groups bonding with each other. What’s next for this technology? 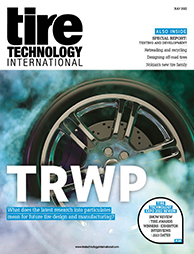 This research constitutes the first steps in using a new alumina silicate inorganic filler in tire compounds, and may lead to the possibility of using a new filler instead of the traditional fillers that are currently used to reduce the cost of rubber products. We plan to study the effects of filler amounts, hybrid filler systems and different recipes, and we will test all these factors for use in different tire components such as tread, inner liner and sidewall. Neşe Kaynak will give a presentation titled Effects of alumina-silicate-based inorganic filler in SBR composites at the Tire Technology Expo Conference. Click here to book your delegate pass.